When you choose your wedding favors, you want something your guests will enjoy. You want something unique. 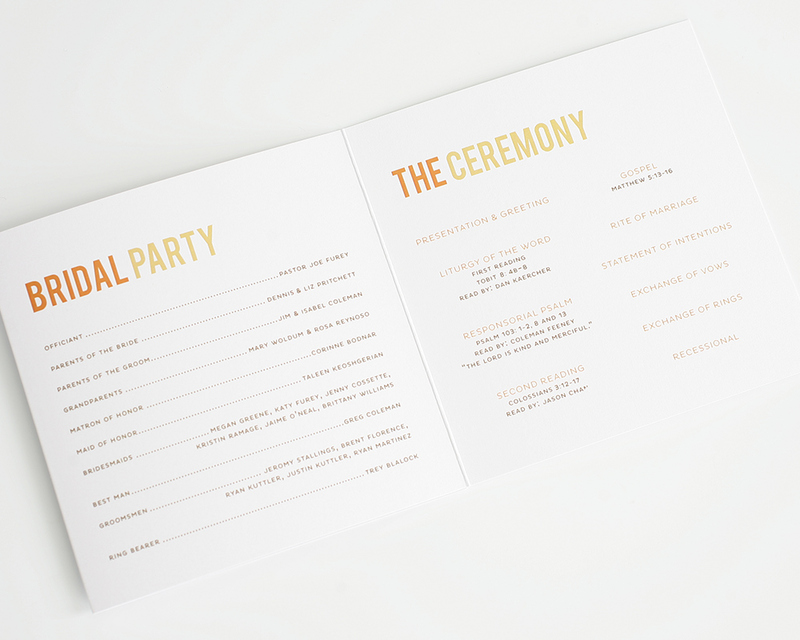 With all the variety of things used as wedding favors it can be confusing. One unique idea for your wedding favors is honey. You can find some cute honey favors your guests will be thrilled to receive. Honey is a sweet choice and your guests will think of you each time they enjoy the taste. 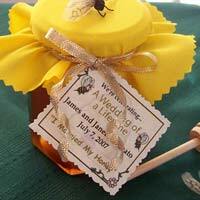 These adorable honey favors go well with honey themed weddings just as the couple is meant to be together. As you look at the different types of honey you can use as favors, you will find the perfect one for your guests. Small jars of honey tied with a colored cloth over the lid are adorable. 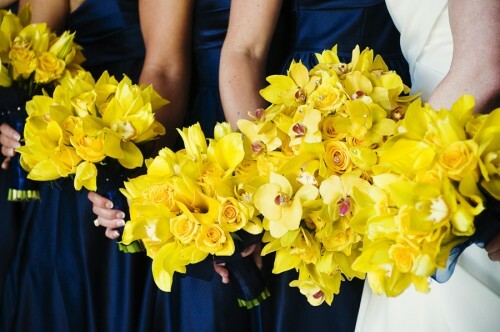 You can use a color that matches your wedding colors. Use a matching color ribbon to tie the cloth. Add a tag with the names, date, and thank you for each guest. You can add a little honey bee to the top of each jar for a cute touch. You can use a matched set of honey with a honey dipper. They come in small boxes for your guests. You can add a tag to each box with the date and names. Add a thank you to the tag for your guests. Simple instructions for guests to enjoy the treat are on one of the jars. A cute bee is on the other. This is sure to be a hit with your guests. A twist on the honey favor is a beehive candle. Sweet smelling and each candle are as cute as can be. Each comes in its own little box complete with bow. A tiny bee is tied to the candle hive with a piece of twine. The honey scented candles make a unique and cute wedding favor. 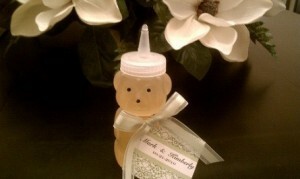 You can give your guests a honey bear as a wedding favor. 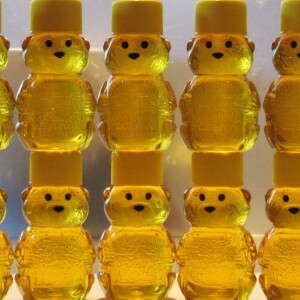 The small jar of honey comes in the shape of the honey bear. You can add a tag to the bear with ribbon thanking them for sharing your sweet day. They will think of you each time they reach for their adorable little honey bear. 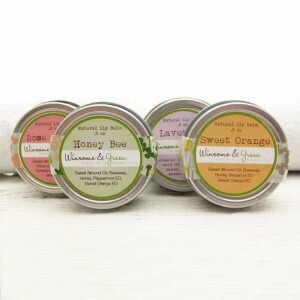 Another sweet wedding favor idea is Honey Bee lip balm. The sweet lip balm will protect guest’s lips and add no calories. Guests will enjoy the sweet honey taste while keeping their lips moist. The cute little pot of lip balm is a truly unique and sweet wedding favor. You can treat your guests to honey butter as a wedding favor. 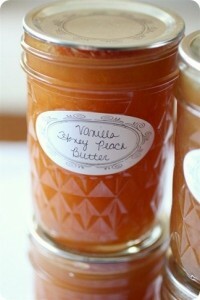 This delicious butter is flavored with vanilla and peaches as well as the honey. Guests will enjoy a unique treat. 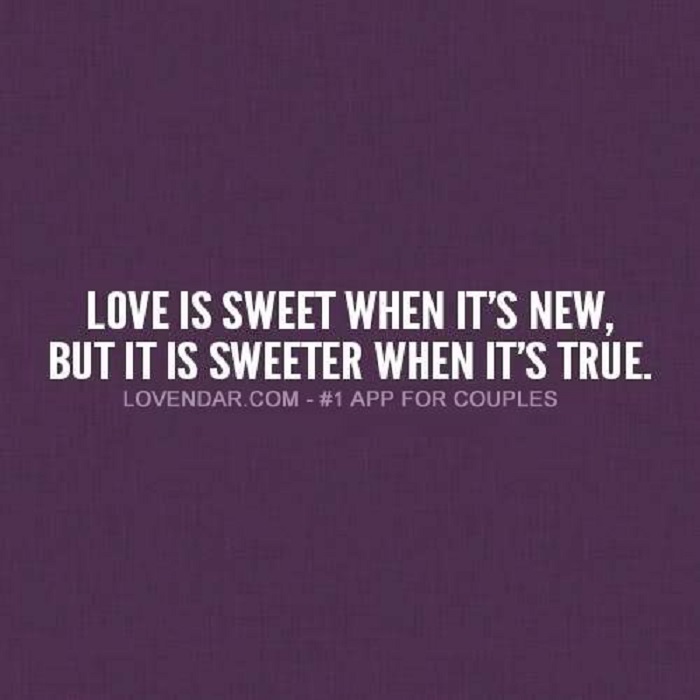 They will remember your beautiful wedding day each time they enjoy their treat. 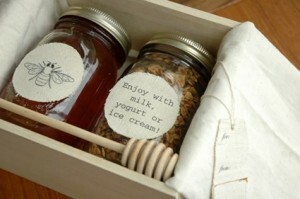 You can tie a tag to the glass jar of honey butter thanking guests for sharing your day. Honey soap is another type of honey you can use as a wedding favor. Each little bar of soap looks like honeycomb. The realistic looking soap bars are the same bright yellow gold color of honey. Your guests will be thrilled with the cute and unique favor they receive. 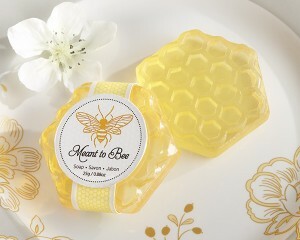 The honey scented soap comes wrapped in clear plastic. Treat your guests to a vial of honey. The slim vials come with cute little cork stoppers. The vials are filled with wildflower honey. You can print tags with a thank you for your guests. 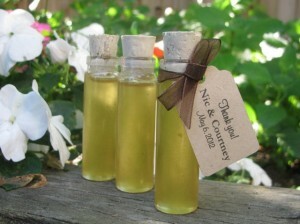 Tie the tags to the vials using a ribbon that matches your wedding colors. As your guests enjoy the sweet tasting honey, they will think of you. 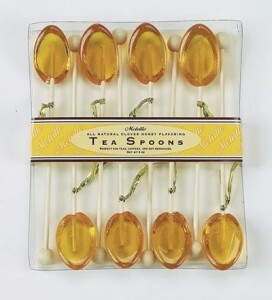 Another sweet idea for a favor is a set of honey flavored tea spoons. Each set comes with eight spoons for tea. The spoons are made of clover honey. The sets of honey spoons are in a clear plastic. Your guests will be able to enjoy a cup of tea flavored with sweet tasting honey. As they relax with their tea, they will remember your special day. 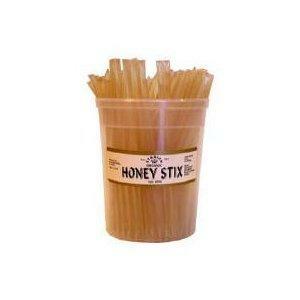 Honey sticks make an ideal choice as favors. You can tie a bunch together for your guests with a pretty ribbon and add a thank you tag. Each honey stick is sealed and can be opened by biting or cutting the end. Guests can add the sweet treat to teas, coffee, and cereal. They can also enjoy it as a treat right out of the stick. If you have children at your wedding, these will make a great favor for them. I enjoyed the article and WANT some of the treats! The candle and the honey butter is especially inviting.